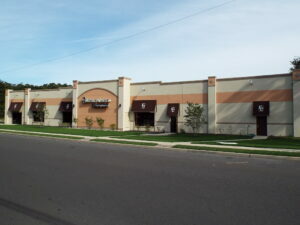 Wolf Commercial Real Estate, a top Southern New Jersey commercial real estate brokerage firm that specializes in South Jersey commercial real estate listings and services, has a conveniently situated tract of South Jersey industrial space for sale or lease at 110 Cushman Avenue West Berlin NJ. This South Jersey industrial building for sale or lease offers about 35,500 square feet of South Jersey industrial and flex space for sale or lease. This Southern New Jersey industrial space for sale offers a great situation for an investor or an owner occupant. There are about 18,562 square feet of South Jersey warehouse space for sale or lease at this industrial space in South Jersey. Another 8,006 square feet of this South Jersey industrial space for sale or lease would be a perfect location for a showroom. This South Jersey industrial building for sale or lease also features about 8,932 square feet of South Jersey office space for sale or lease. The asking sale price for this South Jersey industrial and flex space for sale or lease at 110 Cushman Avenue West Berlin NJ is $2,350,000. The asking lease price for this industrial space in South Jersey is $9.00/sf NNN. This Southern New Jersey industrial space for sale or lease can be yours right away if you call Wolf Commercial Real Estate, a Southern New Jersey commercial real estate broker that concentrates on South Jersey commercial real estate listings and services. Upgrades recently have been completed on this South Jersey industrial space for sale or lease and South Jersey office space for sale or lease. This South Jersey industrial and flex space for sale at 110 Cushman Avenue West Berlin NJ offers a buyer or renter 18-foot-high ceilings and a total of four drive-ins. About 16,000 square feet of this industrial space in South Jersey has HVAC and this South Jersey industrial building for sale or lease has 25 parking spaces. This Southern New Jersey industrial space for sale or lease is in a Regional Commercial Growth Zone (C-3 RGA ZONE). There’s also facade signage available at this South Jersey industrial building for sale or lease through Wolf Commercial Real Estate, a Southern New Jersey commercial real estate brokerage firm that has a long history of dealing with South Jersey commercial real estate listings and services. This South Jersey warehouse space for sale or lease sits on about eight acres of land just off the main South Jersey artery of Route 73. There is quick ingress and egress from Route 30, the Atlantic City Expressway and Cooper Road from this South Jersey office space for sale or lease. 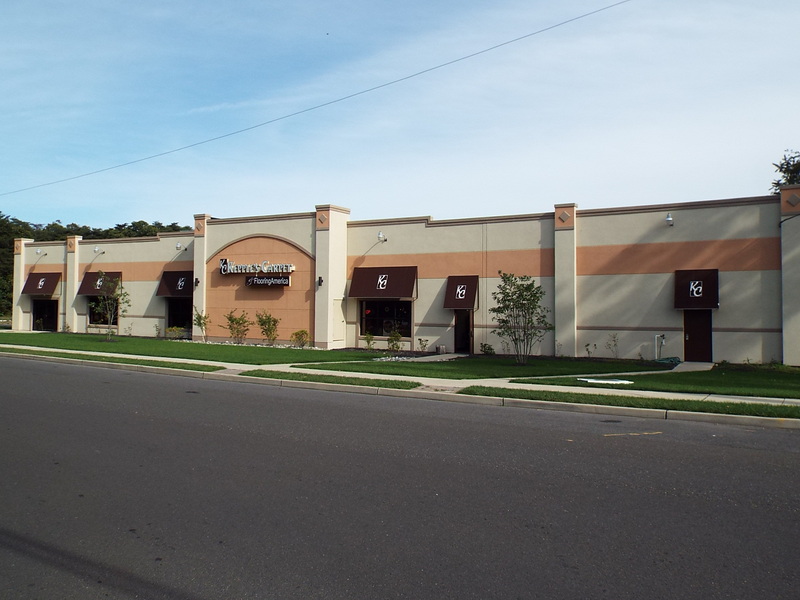 This South Jersey warehouse space for sale or lease is near a number of local businesses. There’s a lot going on within a five-mile radius of this South Jersey industrial and flex space for sale at 110 Cushman Avenue West Berlin NJ: More than 101,000 people with an average household income of nearly $90,000 live close to this Southern New Jersey industrial space for sale or lease. For more information about this South Jersey industrial space for sale lease at 110 Cushman Avenue West Berlin NJ or about any other South Jersey commercial properties for sale or lease, please contact Christopher Henderson (856-857-6337; chris.henderson@wolfcre.com) or Scott Seligman (856-857-6305; scott.seligman@wolfcre.com) at Wolf Commercial Real Estate, a Southern New Jersey commercial real estate broker. Wolf Commercial Real Estate is a premier Southern New Jersey commercial real estate broker that provides a full range of South Jersey commercial real estate listings and services, marketing commercial offices, medical properties, industrial properties, land properties, retail buildings and other South Jersey commercial properties for buyers, tenants, investors and sellers. Please visit our websites for a full listing of South Jersey commercial properties for lease or sale through the team at our Southern New Jersey commercial real estate brokerage firm.